DiSC is a purpose built phone system, specifically designed for the taxi industry. Fully integrated with iCabbi to provide a total dispatch solution. 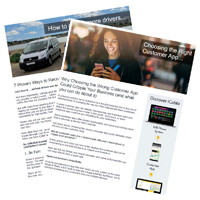 Easy to use communication between driver and customer through a centralised number.